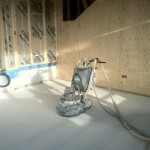 Between the completion of the first fix electrics & plumbing and the slabbing of the plasterboard, we’ve a week to copmplete the grind and first polish of the floors. 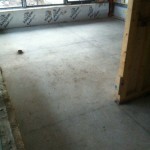 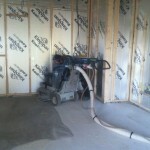 Concrete Concepts are back onsite and loaded with machinery for the grinding of the floors. 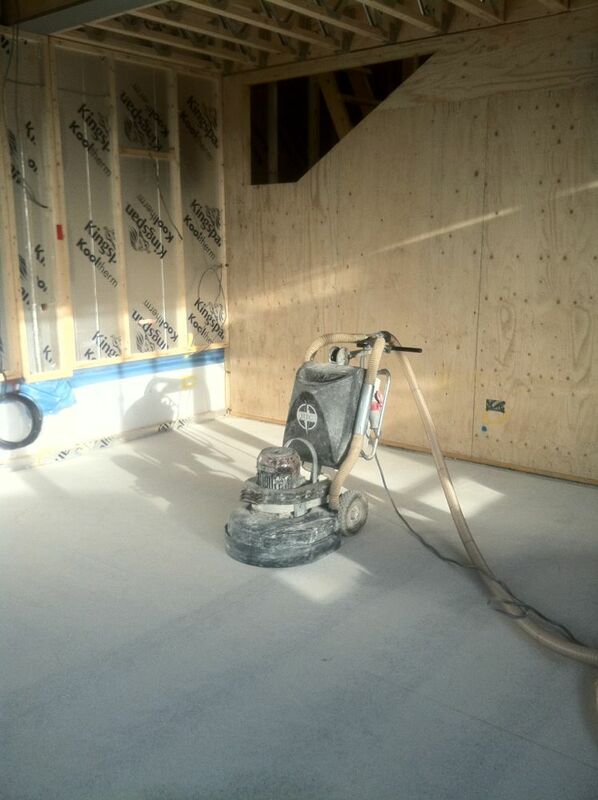 These giant grinding machines scour the surface of the concrete, removing the top couple of millimetres of concrete and revealing the stones and aggregate that make up the surface of the floor. 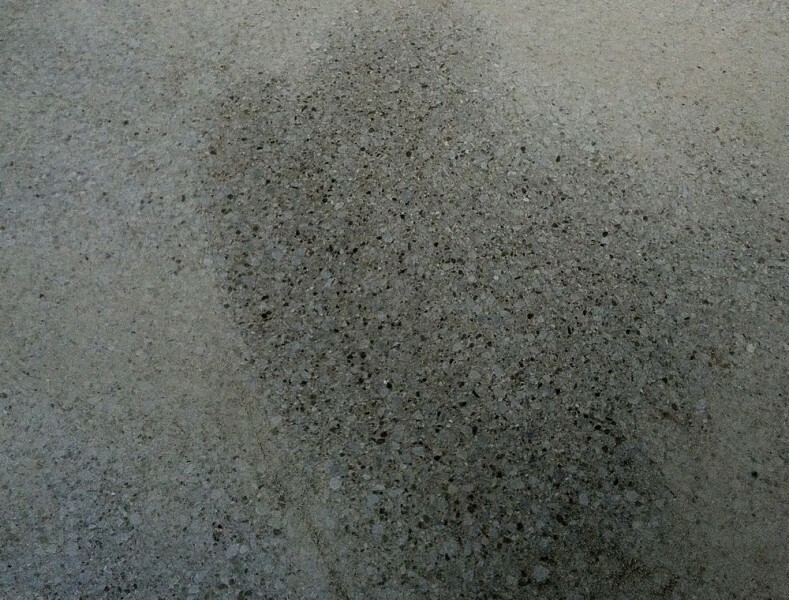 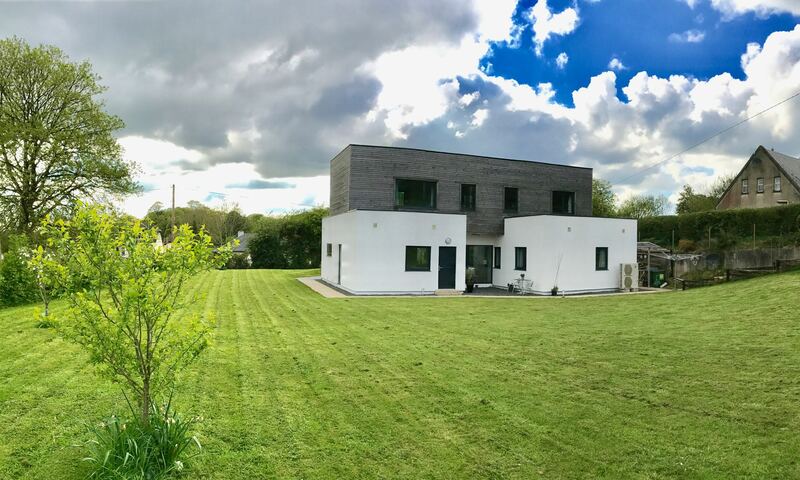 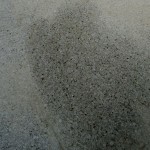 Our concrete mix uses a 100mm local limestone chip which has a blue-ish tinge to the grey stone look and smaller flecks of white, black & brown. 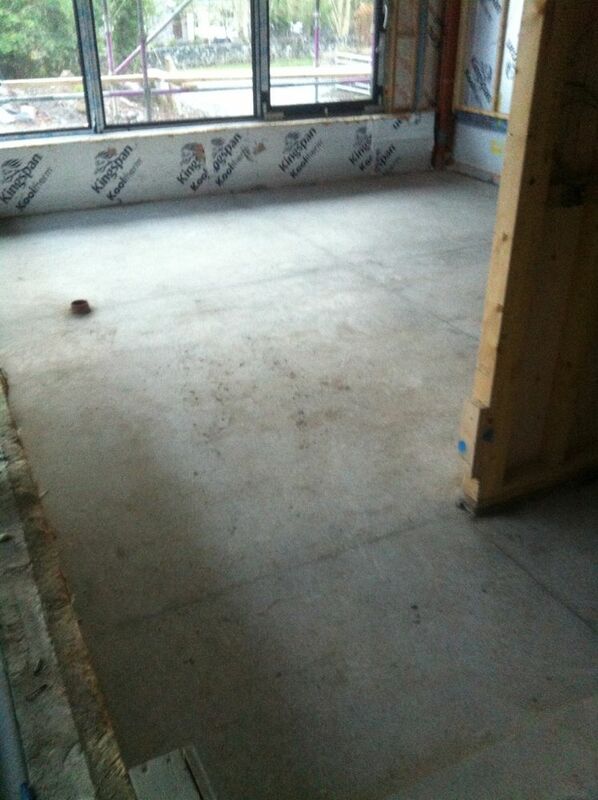 It’ll take a few days to grind all the floors, fill any of the small pits on the surface and apply the hardener but hopefully by the weekend we’ll have a good idea of what the floors are looking like. 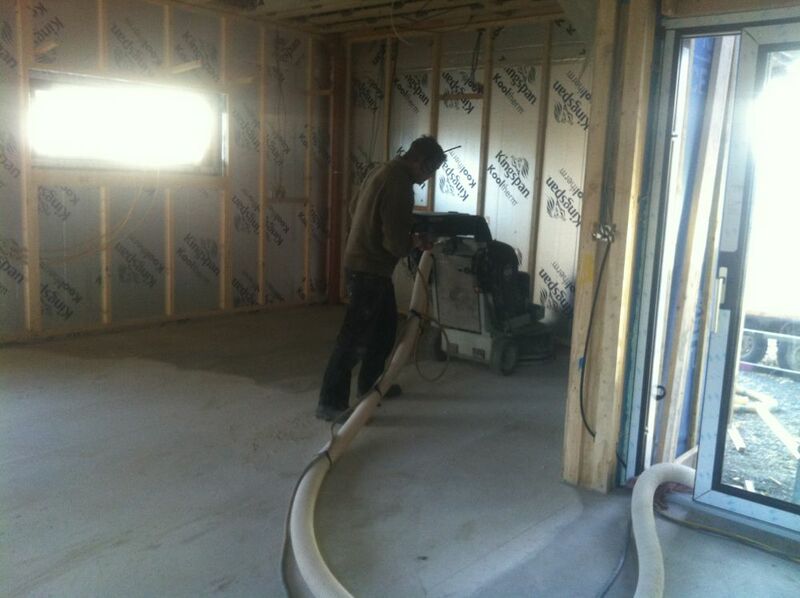 Day 2 and grinding is completed in the kitchen/dining and utility & pantry rooms and filler applied to all areas. This filler is a mix of dust from the concrete itself and a special mix which fills all the tiny pits and hollows in the ground surface. 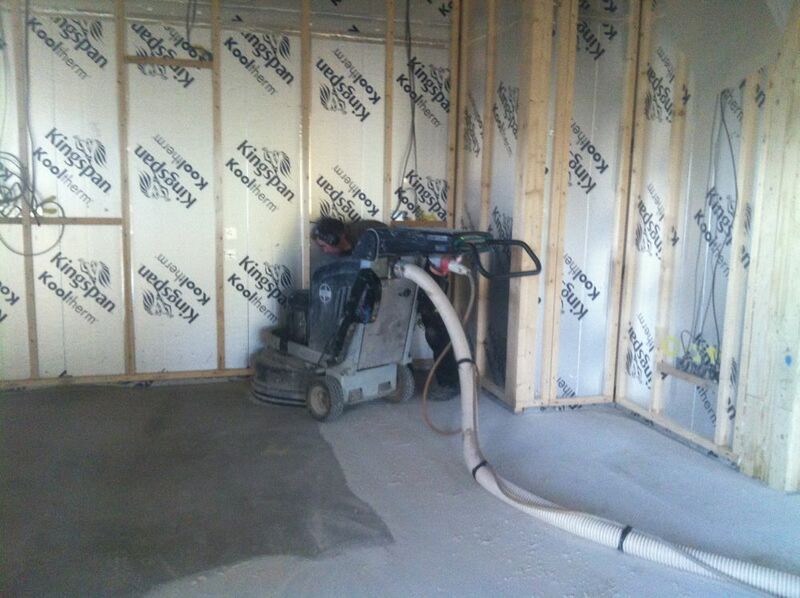 A finer grind after the filler has set will produce a smooth surface ready to take the hardener which will be applied. 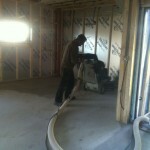 Day 3 and the grinding continues in the bedroom, bathroom and service room.